Confession time: Hi my name is Patricia (Hi Patricia), and I am a tool, junkie. It all started when I was taking dance lessons: ballet, jazz, and tap. I was 10 when I felt the urge to have every kind of dance shoe known to mankind. If it allowed me to go on full pointe, demi-pointe, flick my feet, flap, shuffle, paradiddle, whatever, I wanted to look good when I did it. The only people to stop me in getting every type of dance shoe were my parents. That same love went for leotards and leg warmers. If it came in pink, that was great. My next big love came with journaling and paper. It still is, and I had to learn how to restrain myself from little notepads, notecards, colorful index cards, journaling books, and the like. OK, there is a bit of love for office supplies too, but if it was cute, it was in my cart and in my home. I lived with my parents until I was 34, so I sometimes snuck it in. This is where my love for scrapbooking came in. I will get back to it in a moment. I am also a musician, a keyboardist, and I am working on getting keyboard #10. I currently have keyboard #9, which is about 13 years old, and seeing its last days. The keyboards I had in the past were either sold or have seen their last days too, and you should have seen what my father did to my organ when it seen its last days. Not pretty at all, LOL. Let’s just say that it fit into one neat little garbage can. But the keyboard I want is no small price. Most good quality keyboards today come between the average price tag of $2,000-$4,000, and this one I want is $1,699.00 (Street Price). This is compared to the current one of $200.00, but the current keyboard was bought in 1999, and the new one was made in 2014. Huge difference in quality and the current one is a Casio CTS 630 and the new one is a Yamaha Motif MOXF8 (the 8 stands for 88-keys). It is cheaper than its big brother, the Yamaha Motif XF8, which runs a street price of $3,600. One thing you can say about my tools of the trade is I have a budget on how much I want to spend on that item. I have in my possession three Cricut Electronic die cutting machines. One is called an Expression 2, 5th anniversary edition, which I used until I bought the second one, an Explore, which is the main one I use for all my die cutting needs (well almost all). The E25E is now a backup machine in case the Explore needs repairs or I have a huge project. I also have a Cricut Imagine, which I only used a handful of times, because that thing is too big to be lugging up and down the stairs, so it just sits in my second bedroom. I almost considered buying a Silhouette Cameo, and may still do so, now that I am on their small business affiliate program. I also have two manual die cutting machines, a Cuttlebug, by the same people who make the Cricut and a We R Memory Keepers Evolution. I started using it yesterday, even though I had it for just 8 months. Another We R Memory Keepers product that I have not used yet is a new tool called a Fuse. It fuses page protectors and creates pockets to hold little trinkets and keepsakes in an album. I bought it 4 months ago. Please let’s not talk about my papers. Finally, we get to my baskets. 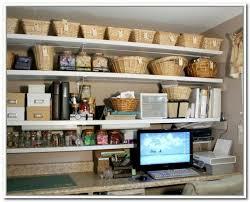 I am an Independent Home Consultant for The Longaberger Company, and I have talked about it many times. When you have been selling for 14 years, you tend to keep and use your samples. That is another subject for a different day. So yes, I have made my confession and I am not here to brag about the stuff I have. I use most of my stuff, even though I heard Peter Walsh (the organizing and declutter guy) say on the Rachael Ray Show that the average person only uses 60% of their stuff. I would say I use 85% of my stuff. I am also saying that I am in the process of decluttering and have put myself on a buying diet. I cannot buy until I all of my consumable items. Much of my stuff I use for my business, P.Lynne Designs. So here’s to confession that is good for the soul, and much lighter on the wallet.